If you've ever moved with a dog, you know how excitable or anxious they can get during packing, the car ride, and even when they first enter a new home. Some dogs handle moving better than others, but the important issue is how you handle it. Liberty Movers has put together a few ways to help any pet owner with the task of moving with a dog. If you don't already have an ID tag on your pet's collar, have one made and attach it. It's also a good idea to have the veterinarian implant a microchip in your dog with contact information too. Although, you'll be moving, you can add your cell phone number or the address of an emergency contact that you know well. Start cutting back on your pet's food a few days before the long car trip or flight. Just reducing the amount of their meals by a third may help reduce the potential for car sickness. It also helps minimizes the cleanup if your dog gets sick. Contact your veterinarian and request a copy of your pet's medical records. You can provide this information to the dog's new veterinarian after the move. Consider having a friend or family member watch your dog during the move. At the very least, get a pet sitter to watch your dog when the long-distance movers are packing and loading your belongings into their vans. This keeps your pet out of the way and minimizes the risk of them running away. Reduce your pet's anxiety during the move by maintaining normal routines as much as possible. Try to stick to the regular daily walk, serve meals at the same time each day, and get to bed at the same time. It is especially important to maintain the routine after moving into your new home, as this will help your pet adjust faster. A long-distance move requires a lot of preparation and effort to complete successfully. Liberty Movers can make your life easier with our full packing and unpacking services. 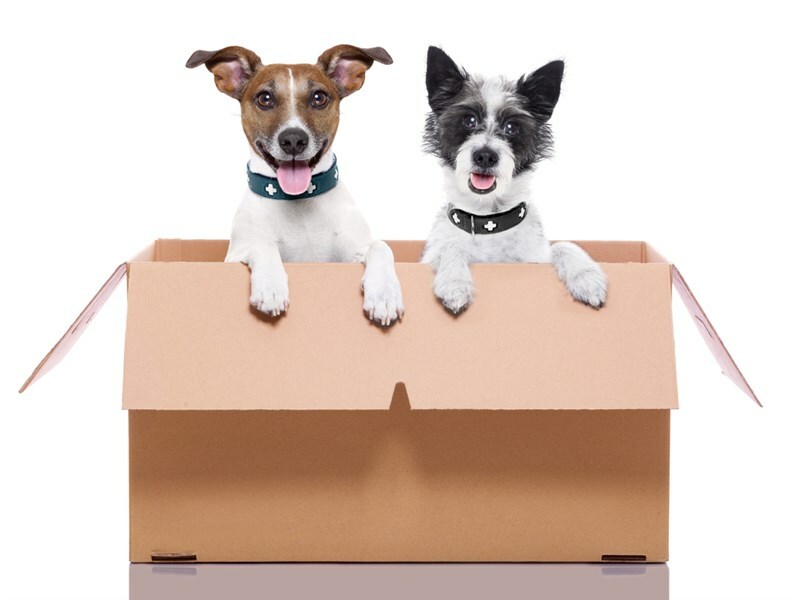 Make your move less stressful on the family and your pets by giving us a call to speak with a specialist about our long distance moving services. You can also fill out our online form to request a free, in-home price estimate for a move today.